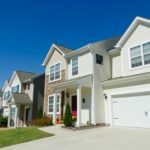 St. Louis, Missouri has dozens of different suburbs and neighborhoods, and it can be a challenge to find the perfect neighborhood for you and your family when you’re looking to buy a house. Kirkwood, Missouri, is a popular area for many people, and it might be the right neighborhood for you. Like any neighborhood, though, it has its strengths and weaknesses, so it’s important to do your research before looking for homes for sale in Kirkwood, MO. The average price of homes for sale in Kirkwood, MO, according to real estate company Zillow, is about $277,000, and home values have increased about 12 percent in the last year. Kirkwood is a favorite St. Louis neighborhood with a variety of perks. They have a charming downtown, great school district, and central location. You will reap the benefits of living in a quiet, suburban area while being just a few minutes away from downtown St. Louis. Next to deciding on the right neighborhood for your lifestyle, choosing the right real estate agent is the biggest decision you’ll have to make. Not all Kirkwood real estate agents are created equal, so it’s important to find an agent who knows the Kirkwood, MO, real estate industry well. While any agent may be able to buy a home, if they’re unfamiliar with the local housing market in Kirkwood, they won’t be able to get you the best deal on a house. Once you’ve decided that Kirkwood is the neighborhood for you and you’ve found the right real estate agent, the next step is to discuss your needs with your agent. It’s time to start searching for your dream home!